Want to give a laser engraved pen that is classy, writes in blue or black and writes well? 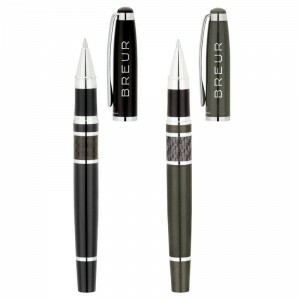 The Vienna stylus pen is a stylus version of the popular Vienna pen. 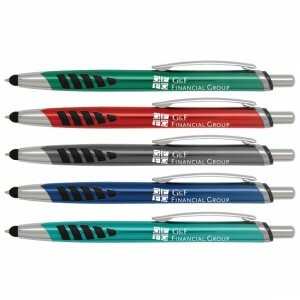 Featuring a great grip with black accents, these click pens have a stylus for easy use on phones or tablets. Available in navy blue, red, blue, black or champagne. 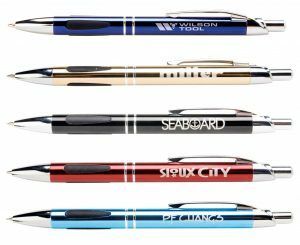 Your logo or words laser engraved in silver on the pen. Can do left had laser if desired. Minimum is 100 at 2.02, 500 at 1.91 ea, 1000 at 1.77 ea, 5000 at 1.59 ea. One line is free. Set up is 31.25 for logo. Laser area is 1-3/4 x 1/4″ or add 50 cents per pen for Hub revolution that gives you 1/2″ high laser area. Item 636. 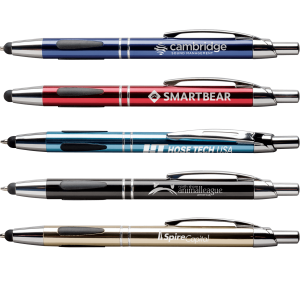 Want a nice pen to hand out with laser engraved logo and information on it? The Saratoga Classic Stylus pen that has a silicone tip with easy navigation on I-pads and I-phones. 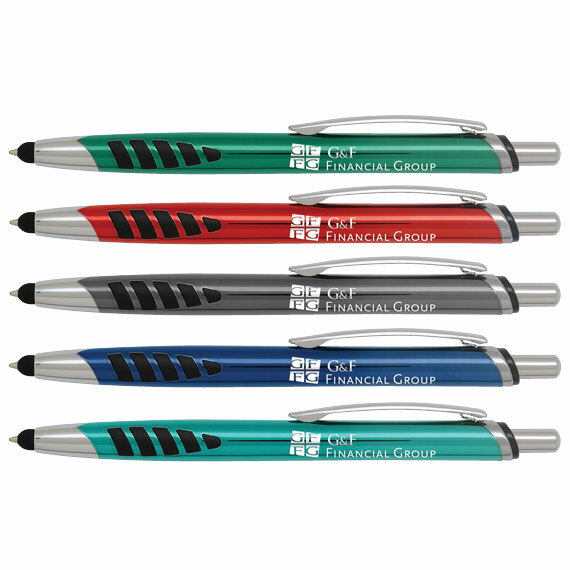 Available in 5 colors – Aquamarine Green, Garnet Red, Graphite Gray, Sapphire Blue, Sky Blue, this pen has a crisp laser engraving in area of 1-3/4″ x 1/4″. 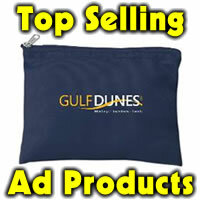 It would be great to hand out at tradeshows, networking events, closings and more. Ink choice of blue or black. Set up is 40.00. Minimum is 50 pens at 2.20 ea. Sale on 250 or more at 1.50 ea. Sale price PC14Q1 is good through April 25, 2014. Item number P44295.